In these situations, it is imperative that affected community association representatives contact qualified association counsel to create a plan to re-schedule and re-notice an Annual Meeting and Election in a compliant manner. This action becomes particularly important when a community association’s governing documents create a narrow timeframe, or a specific day, upon which an Annual Meeting and Election must occur each year. In such event, office closures may hinder or prevent an association from distributing its Notice(s) of Annual Meeting and Election in a manner that permits an association to hold its Annual Meeting and Election by its document-based deadline. 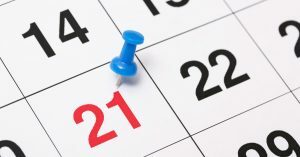 Further, depending upon the facts of the specific circumstance, it may be necessary to re-schedule the Annual Meeting and Election for a date after the deadline noted in an association’s governing documents in order to comply with statutory-required notice protocols. If your association’s scheduled Annual Meeting and Election may need to be re-scheduled as a result of the office closures following Hurricane Irma, act quickly in contacting counsel to develop a plan for re-scheduling your Annual Meeting and Election to ensure that your association’s Annual Meeting and Election is compliant with Florida Law.